THIS seems a timely moment to relate how I managed to become ‘persona non grata’ in the Houses of Parliament, given how nothing would delight me more than to see many of its current occupants turfed headlong into the Thames. I don’t think I’m alone in that sentiment – even Theresa May apparently agrees – but you have to be careful about making such throwaway statements these days because shrieking accusations of being the next Thomas Mair are only one hysterical MP or a BBC news presenter away. 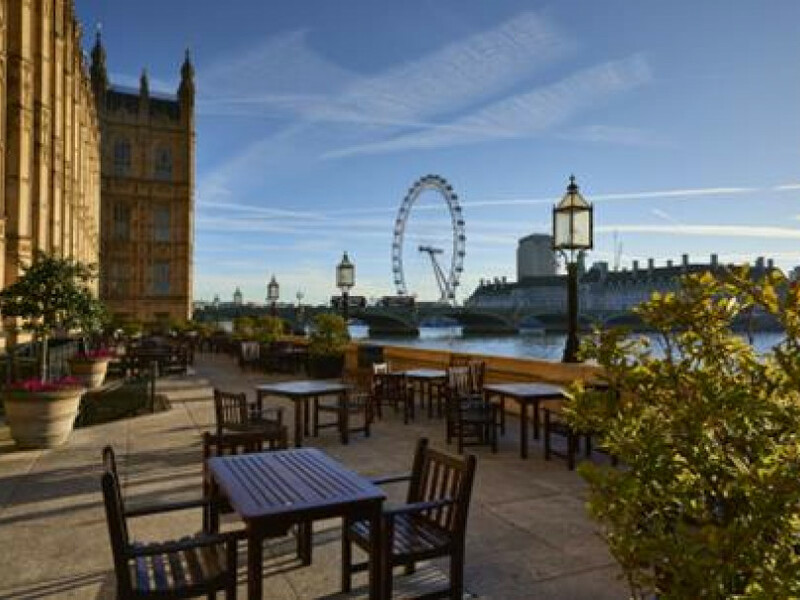 The All Party Parliamentary Rugby League group of MPs and Lords holds an annual dinner on the terrace of the House of Lords – it’s actually held in quite an unfetching plastic marquee, but the wider surroundings are magnificent. I used to look forward to it immensely. On the fateful night I was seated next to Labour MP Karl Turner, who succeeded John Prescott in Hull East and as the speeches began the heat at our end of the room was stifling. I thought one or two of the old duffers present were about to expire, so I tip-toed to the sliding terrace doors and cracked them open a few inches to let some air in. There were a few appreciative nods, but then one self-aggrandising prat said out loud “a gentleman would ask permission before doing that”. I don’t recall my exact words or profanities, but they were to the effect that it was a good job I was a gent, or he’d go head first through that bloody door and into the Thames. MP Turner nearly wet himself laughing and kept looking towards the entrance to the House of Lords. “What are you gawping at?” I asked, still fuming at the unnecessary and embarrassing confrontation. Hoyle was not only sorcerer’s apprentice to that preening little cuckold John Bercow, but son of Lord Doug Hoyle, chairman of Warrington Wolves and president of the Parliamentary RL Group. Scratch that date off the social diary, Locky. It’s not much of a tale, but it does serve to reflect the current impasse between the impostors in the Houses of Parliament and their attitudes towards the great British public, who put those privileged upstarts there. With the same sneering arrogance towards we plebs that came so naturally to Lindsay Hoyle that evening, so the insulated denizens of Westminster plunge ever onwards, twisting, manipulating but ultimately betraying the specific instructions of the UK electorate in June 2016. Get. Us. Out. Someone will no doubt take offence at me drawing the next parallel but if, heaven forbid, the next Mair-like madman takes violent redress against an MP or MPs, you can guarantee the only people to avoid blame will be the politicians themselves. They are like Pontius Pilate in their collective ability to absolve themselves of any responsibility for the chaos they’ve brought down on the nation. It’s the same syndrome we’re witnessing regarding the New Zealand mosque massacres. Let me be clear – I’m as horrified and appalled on a human level as anyone, but I am equally aghast at the institutional myopia, hypocrisy and denial. With one broad, rhetorical brushstroke, evil killer Brenton Tarrant’s despicable act becomes incontrovertible proof that Islamophobia and far right doctrine is an existentialist threat to society. Except no it’s not. Tarrant is a vile and violent psychopath who speaks for no one except – thank God – a scattering of deranged loners like himself. Like Thomas Mair in fact. But for all the political hyperbole there is no army of Zombie-like Nazis itching to declare war on peaceful places of Muslim worship. Not that it stopped Scottish police saying they were stepping up patrols near mosques in the hours after Christchurch. Nearly 12,000 miles away, for crying out loud. What hysterical, virtue signalling idiots. But what the establishment cannot and will not accept in such instances, is the part they have played in triggering these psychotic ticking time bombs. The wife of Finsbury Park mosque attacker Darren Osborne said he cracked after watching a BBC documentary about the Rochdale grooming scandal. Targeting innocent Muslim worshippers for the crimes of depraved men who happen to share their faith is manifestly evil. No question, and such warped hatred has to be targeted and tackled where it exists. But it must also be considered in the round because if police and social services from Rochdale to Rotherham, from Bradford to Batley, do their job in applying the law and duty of care to all British citizens regardless of cultural or religious differences, the situation never even occurs. It’s been conveniently overlooked that Tarrant described himself as a former Communist, then anarchist and libertarian before defining as an ‘eco-fascist’ (whatever one of those is). That makes him more an ideological cousin of Jeremy Corbyn than the Ku Klux Klan, if we’re being at all objective – but of course we’re not. As the world beats its breast in mourning for New Zealand, at least 4,305 Christians were murdered by Muslims in Nigeria last year. It is a daily genocide, but hey, it’s Africa and there’s no brownie points (pun intended) in looking that way. His apologists would call it meaningless that Labour leader Corbyn called the massacre of 22 innocents at the Manchester Arena an “incident”, but the New Zealand murders “terrorism”. But it really isn’t. It’s right there in front of you folks, no more evidence required. It is symptomatic of exactly the type of attitude that helps nudge the Tarrants and Osbornes towards their violent cliff-edge, and the biggest travesty is that it always seems to be innocents who pay. If Parliament ultimately fails democracy, as looks ever more likely, and if – again, heaven forbid – violence is directed towards the political establishment, the divisive rhetoric aimed at 17.4 million voters over the past two years will be ramped up to fever pitch. The tens of thousands marching in London next Friday will not be patriots or democrats but far right bigots and thugs. And if there is blood on the streets, under no circumstances will it be anything to do with the contempt that MPs hold us in. Not in their minds. You know, come to think of it, perhaps being physically thrown in the Thames is the very least these people deserve. With flotation aids and lifeboats on stand-by of course, because their disgracing needs to be mindful of reasonable health and safety protocols. We are English after all! I hope to see some of you in London next Friday, March 29th. I WOULD love to know what parallel universe some of the clowns at Kirklees occupy. I’ve been reading their imagined Masterplan for Shariahtown – sorry, Dewsbury Riverside – complete with bridle paths and country walks, woodlands and new schools. I was going to say it sounds like paradise, but maybe that’s not the most appropriate comparison. On page nine, officers praise the benefits of the nearby Dewsbury & District Golf Club, which is hypocrisy on a staggering level given that they also plan to bulldoze the fabulous (council-owned) Bradley Park Golf Course to make way for more houses. They won’t understand why the fuss. However, given what happened to the sportsmen and women who once used Savile Town playing fields in the 80s and 90s, the Dewsbury & District members might want to invest in a few miles of barbed wire fencing. THE streets of Batley and Birstall get more lawless by the day, and with exquisite timing West Yorkshire Police apprently decide to sell Batley police station on the quiet. Oh well, I suppose if we look on the bright side, more flats to potentially burgle mathematically dilutes the chances of the victim being you. No consolation, you say? Thought not. If anyone wants to set up vigilante mobs – sorry, street-safety groups – we’ll give them all the publicity and support they desire. In everything except backside-covering rhetoric, the police have given up on you, folks.